During the month of May, IAVA engaged with members across the country by encouraging them to submit six-word stories of their greatest adventure. Two stories were selected and their authors gave IAVA’s Field Team the scoop. Volunteer with Habitat for Humanity International. Take each daughter on a weekend trip, just the two of us. Learn enough German to communicate with my penpal in her language. Live every day as if it were my last. These goals and so many more make up Krystal Loverin’s bucket list. Krystal served over nine years in the Oregon Army National Guard, including a tour in Iraq from ‘03-’04. She came home alive and wanted to really start living. When people find out Laura Marko is a veteran, the response is always the same: surprise. Laura served in the Navy from 2006-2011, first as a Photographer’s Mate and then as a Mass Communications Specialist. She went straight from boot camp, to “A” school, to deployment. 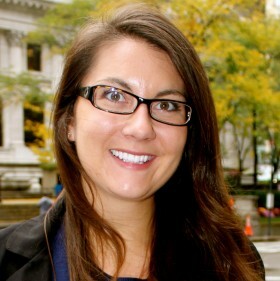 Upon exiting the Navy, Laura enrolled at the University of Michigan using her GI Bill. She graduated last year. Inspired to write your own story? The theme for June is “inspiration”. Tell us what inspires you, whether that is your time in the military, a person, a place, or anything else. 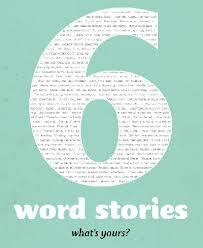 Submit your six word story here by June 15th. Please note that you will need to create a myIAVA login, if you have not already done so, or login with your current myIAVA e-mail and password.